It would seem we are lost in ignorance in our time, since we are essentially become Protagorean again. We didn’t learn the lesson of history the first time around, namely, that such a position leads necessarily to destruction through the anarchy that occurs because we believe the ultimate authority resides in each of us. Gang warfare through will-to-power at all levels of social organization, up to and including the New World Order. Caesarism results, the world is treated as private property, divvied up by formless wars. Hence, our utter reliance on personal experience these days, which can only turn out to make us atomized in our knowledge. We can not accumulate knowledge with such an attitude. What we do instead, is grant authority to those “experts” who confirm what we wish to believe and grease our consciences to allow us what we wish to do: smug nihilism. Like Thomas Molnar says, by this criterion, there hasn’t been any philosophy since Hegel. Scientific atheism is our state religion: reason’s gift to us. José Ortega y Gasset was absolutely right, the technicists are the most arrogant of all humanity, they have a lock on the only acceptable, authoritative epistemology, the “scientific method.” All others are irrational fools. Thus poetic morality began with piety, which was ordained by providence to found the nations, for among them all piety is proverbially the mother of all the moral, economic, and civil virtues. Religion alone has the power to make us practice virtue, as philosophy is fit rather for discussing it. And piety sprang from religion, which properly is fear of divinity. Hence came the eternal property among all nations, that piety is instilled in children by the fear of some divinity. [The sense of shame], after religion, is the second bond that keeps nations united, even as shamelessness and impiety destroy them. Impiety and shamelessness seem to be the primary commonalities between the orthodox media, academia and Hollywood; an utterly destructive troika. This is the Utopian One World Government impulse, it is buried deep in the human psyche, it is ineradicable short of making us less than human by gutting our volitional freedom. Men first feel necessity, than look for utility, next attend to comfort, still later amuse themselves with pleasure, thence grow dissolute in luxury, and finally go mad and waste their substance. The nature of peoples is first crude, then severe, then benign, then delicate, finally dissolute. Governments must conform to the nature of the men governed. Dissolute people produce dissolute government. Affluence, by itself, has killed off every great empire, every great civilization. The contests waged by the orders in the cities for equality of rights are the most powerful means of making the commonwealths great. The weak want laws; the powerful withhold them; the ambitious, to win a following, advocate them; princes, to equalize the strong with the weak, protect them. In other words, this is a description of the ideal functioning polity. This is what the Founding Fathers were aiming for. At first men desire to be free of subjection and attain equality; witness the plebs in the aristocratic commonwealths, which finally turn popular. Then they attempt to surpass their equals; witness the plebs in the popular commonwealths, later corrupted into commonwealths of the powerful. Finally they wish to put themselves above the laws; witness the anarchies, or unlimited popular commonwealths, than which there is no greater tyranny, for in them there are as many tyrants as there are bold and dissolute men in the cities. What a perfect description of the fall of the American Republic that was last seen in its full glory before the Civil War, and which still retained a sort of shadow form until FDR and LBJ brought in the ideas of radical egalitarianism. But whither do we go now? Is this last sentence not an apt description of our situation? But as the popular states became corrupt, so also did the philosophies. They descended to skepticism. Learned fools fell to calumniating the truth. Thence arose a false eloquence, ready to uphold either of the opposed sides of a case indifferently. Thus it came about that, by abuse of eloquence like that of the tribunes of the plebs at Rome, when the citizens were no longer content with making wealth the basis of rank, they strove to make it an instrument of power. This was the factionalism described by James Madison, the pluralism by thinkers in the sixties, and the multiculturalism by the ideological fanatics of today. It’s all the same, gang warfare. Radical egalitarianism is definitely the worst of all tyrannies, it is practically synonymous with the word tyranny. To this great disease of cities providence applies one of these three great remedies in the following order of human civil institutions. It first ordains that there be found among these peoples a man like Augustus to arise and establish himself as a monarch and, by force of arms, take in hand all the institutions and all the laws, which, though sprung from liberty, no longer avail to regulate and hold it within bounds. This is what Spengler predicted to happen in the West sometime within the lifetime of our grandchildren, if not before. Also note the emphasis on this disease being an urban phenomenon, the agrarian mindset escapes it. Then, if providence does not find such a remedy within, it seeks it outside. And since peoples so far corrupted have already become naturally slaves of their unrestrained passions - of luxury, effeminacy, avarice, envy, pride, and vanity - and in pursuit of the pleasures of their dissolute life are falling back into all the vices characteristic of the most abject slaves (having become liars, tricksters, calumniators, thieves, cowards, and pretenders), providence decrees that they become slaves... and that they become subject to better nations, which, having conquered them by arms, preserve them as subject provinces. Its difficult to believe that Vico perfectly understood Bill Clinton’s character and his constituency so long ago. Here lies the real trouble with libertarianism, just as George Santayana concluded. The only way that minimal government can work, is when individuals govern themselves. But individuals cannot govern themselves without learning to obey themselves, that is, to place their animal desires for vacant freedom under the sovereignty of their rational mind which understands the nature of the limitations external reality places on us. And individuals can never learn to obey themselves unless they have learned to obey someone above them. In a radically egalitarian society, there is no one above them, not their bosses, not their leaders, not their priests, not their parents. They simply do not need to learn how to obey authority, because authority is not allowed to maintain itself in conditions of concrete equality. Hence, they cannot govern themselves, hence the state grows and grows by necessity, in direct proportion to the degree that individuals cannot govern themselves. Unless there is a policeman inside your head, a policeman must be assigned to you. In addition, a policeman must be assigned to each policeman, ad infinitum. You get to the point very quickly, where you run out of individuals to do the necessary policing. We are at this point now, when 40% of GDP goes to government. For the libertarian ideal of minimal government to work, you must have maximal self-government, and this you can only have with legitimate hierarchical levels of authority pointing up to the transcendent realm, above all of us, higher authority. But libertarianism hates hierarchical authority because it so obviously hems in our vacant freedom, our ability to do as we please. Thus is libertarianism revealed to be utterly conceptually incoherent. It simply can’t work in an honest fashion. But if the peoples are rotting in that ultimate civil disease and cannot agree on a monarch from within, and are not conquered and preserved by better nations from without, then providence for their extreme ill has its extreme remedy at hand. For such peoples, like so many beasts, have fallen into the custom of each man thinking only of his own private interests and have reached the extreme of delicacy, or better of pride, in which like wild animals they bristle and lash out at the slightest displeasure. Thus no matter how great the throng and press of their bodies, they live like wild beasts in a deep solitude of spirit and will, scarcely any two being able to agree since each follows his own pleasure or caprice. By reason of all this, providence decrees that, through obstinate factions and desperate civil wars, they shall turn their cities into forests and the forests into dens and lairs of men. This is as apt a description of not only our inner cities, but of the ex-Communist countries and much of the tribalized undeveloped world as well. Listen up here! “Barbarism of reflection” is post-rational compost-modernism. For the [barbarism of sense] displayed a generous savagery, against which one could defend oneself or take flight or be on one’s guard; but the [barbarism of reflection], with a base savagery, under soft words and embraces, plots against the life and fortune of friends and intimates. Hence peoples who have reached this point of premeditated malice, when they receive this last remedy of providence and are thereby stunned and brutalized, are sensible no longer of comforts, delicacies, pleasures, and pomp, but only of the sheer necessities of life. 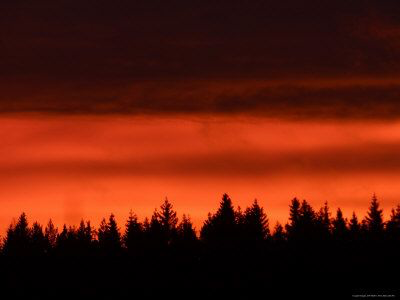 The dark ages are brought about by the “barbarism of reflection,” what Solzhenitsyn called the “crimson glow on the horizon.” We are in deep trouble. And the few survivors in the midst of an abundance of the things necessary for life naturally become sociable and, returning to the primitive simplicity of the first world of peoples, are again religious, truthful, and faithful. Thus providence brings back among them the piety, faith, and truth which are the natural foundations of justice as well as the graces and beauties of the eternal order of God. This is what ends the dark ages of philosophical skepticism. That which did all this was mind, for men did it with intelligence; it was not fate, for they did it by choice; not chance, for the results of their always so acting are perpetually the same. Hence Epicurus, who believes in chance, is refuted by the facts, along with his followers Hobbes and Machiavelli; and so are Zeno and Spinoza, who believe in fate. Hence, in our scientific nihilism, where random activity, like Tyche in Roman times, is set up as a deity, we must be said to be living in an Epicurean-Hobbesian-Machiavellian worldview. This is what we see all around us in the political world. Might makes right. Chance rules. Likewise in the political dogma of progressive ideology, the Zeno-Spinoza worldview of determinism rules. We have been here before, to our great misfortune. We have not learned from history. In other words, it makes absolutely no sense to discuss anything with a nihilist, or with any technicist who believes that random activity is at the base of reality. It is a complete waste of time, because these individuals are simply not serious. Thus, “ideology du jour” reigns in the vacuum of scientific nihilism. Irrationality is glorified. For religions alone can bring the peoples to do virtuous works by appeal to their feelings, which alone move men to perform them; and the reasoned maxims of the philosophers concerning virtue are of use only when employed by a good eloquence for kindling the feelings to do the duties of virtue. What are libertarian “virtuous works” I wonder? Observing contracts? There is, however, an essential difference between our Christian religion, which is true, and all the others, which are false. In our religion, divine grace causes virtuous action for the sake of an eternal and infinite good. This good cannot fall under the senses, and it is consequently the mind that, for its sake, moves the senses to virtuous actions. The false religions, on the contrary, have proposed to themselves finite and transitory goods, in this life as in the other (where they expect a beatitude of sensual pleasures), and hence the senses must drive the mind to do virtuous works.... The uncorrupted feelings are that all the learned should admire, venerate, and desire to unite themselves to the infinite wisdom of God. To sum up, from all that we have set forth in this work, it is to be finally concluded that this Science carries inseparably with it the study of piety, and that he who is not pious cannot be truly wise. This distinction between true and false corresponds to the two genuses of transcendent and incarnate vs. immanent or absent. Isaiah Berlin echoed Vico’s emphasis on piety when he pointed out: “No criterion, [Maistre] observed, is so fallible as impiety. One must look at what it hates, what puts it in a rage, what it attacks always, everywhere, and with fury - that will be the truth.” This is profoundly true. I think of all the liberal attacks I have witnessed, all their hatred, bigotry, intolerance and deception, and the unifying attribute of all of it is impiety, with a good dollop of shamelessness frequently trailing along. Now Vico, after he had published New Science, got many requests from individuals who wanted his scientific principles to be brought into the concrete realm of practical action, to political technology, if you will. So one of the last things he wrote was a short piece called “Practic of the New Science” and he gave some practical advice. ...let the masters of wisdom teach the young how to descend from the world of God and of minds into the world of nature, in order to live a decent and just humanity in the world of nations. Which is to say that the academics, holding such principles and such a criterion of truth, should teach the young that it is the nature of the civil world, which is the world that has been made by men, to have just such matter and form as men themselves have. And when humanity changes, the civil world changes. Thus, our current age’s emphasis on worldview warfare, on social engineering, and soon to be on genetic engineering reflects our urgent desire to alter the civil world according to our ideals. And since from their weak and corrupt nature they cannot bring forth this exertion, providence has set up such orders for human institutions that religions and laws, assisted by the force of arms, may move them to it.... To this force the few strong are drawn by nature and consequently with pleasure, for it moves them to exertion, which is connatural with the strong; and the many weak are bound therein despite themselves, to the end that they may not dissolve human society. ...let the young be guided into good politics, and with their minds so disposed let them finally move on into jurisprudence. It is by being prepared in this way that the youths to be taught will learn the practic of this Science founded on the eternal law that providence has established for the world of nations. This is that nations are secure and flourish in felicity so long as the body in them serves and the mind commands. Here we are back again to a total repudiation of the idea of concrete equality solely amongst human individuals, as opposed to the abstract idea of equality before higher authority. No idea, abstract or concrete, of equality before another human individual can ever make sense, because you cannot obey an equal, and disobedience is the original sin. All solutions point towards the ‘strong’ ruling the ‘weak,’ the ‘body’ serving the ‘mind.’ This is basic Thomism, it will be as true a millennia from now as it was when Aquinas wrote it. There is no ‘equality before the law’ when the law is only a human judge or a human jury, absent any reference to higher authority than humanity, to a transcendental reality. ​All judges, all juries, all police, all legislators are all equal to every other individual, none can be obeyed as equals. Obedience is always a superior-inferior relationship, and obedience while maintaining the dignity of the inferior can only come when both inferior and superior are equal before higher authority. Absent higher authority, there is no dignity in humanity. Original Sin, I suppose, was accepting the serpent’s offer of equality, “Ye shall be as gods,” which automatically meant a turning away from obedience, regardless of what Adam & Eve had been commanded. In this sense, to choose equality as the highest ideal is to choose disobedience, and to choose obedience as the highest ideal is to choose inequality. Absent an acknowledgement of higher authority, of a transcendent realm, we are right back to the street corner Übermensch’s with the biggest Kalishnakovs dictating what is right, and what is rational. This series of quotes is a way to post a lot of extremely interesting thought from Isaiah Berlin, including great material on Joseph de Maistre, Voltaire’s arch-nemesis, along with my commentary on how it all ties in to discussions on minimal government vs. authority, on the Two American Traditions of Northern Industrialism vs. Southern Agrarianism, and on abstract technicism vs. concrete religio-humanism or disembodied ideology vs. embodied reason. There is also much here on the total war between global tyranny and limited sovereignties, on solutions to the Ominous Crimson Glow of scientific barbarism, and on the Roman Catholic Church’s role in all of it. Let me start with Berlin’s introductory material on Maistre, shown here. Later on, I will separate out Berlin’s own thoughts as I go along, from Berlin’s discussion of Maistre’s thoughts. 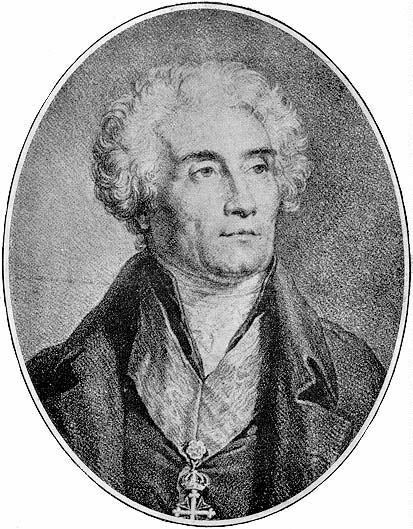 [Joseph de Maistre (1757-1821)] stood for the trinity of classicism, monarchy and the church. He is the embodiment of the clear Latin spirit, the very antithesis of the moody German soul. He is a Catholic reactionary, a scholar and an aristocrat... outraged alike by the doctrines and the acts of the French Revolution, opposed with equal firmness to rationalism and empiricism, liberalism, technocracy and egalitarian democracy, hostile to secularism and all forms of non-denominational, non-institutional religion, a powerful, retrograde figure, deriving his faith and his method from the Church Fathers and the teaching of the Jesuit order. I can’t believe that this gentleman isn’t taught right next to Voltaire in academia, he is very intellectually stimulating. I cannot help but think that Maistre is deliberately buried, to prevent his ideas from surfacing, to keep them from coming into intellectual play. Who else have the promoters of “openness” and “diversity” buried outside of their academic monoculture? Berlin judges that Maistre is only equaled by Tocqueville as a keen observer of his contemporaries, and as a prophet of future times, far ahead of his time. His world had been shattered by the satanic forces of atheistical reason: and could be rebuilt only by cutting off all the heads of the hydra of the revolution in all its multiple disguises. Two worlds had met in mortal combat. He had chosen his side and meant to give no quarter. What angered him most was the bland, naturalistic optimism whose validity the fashionable philosophers of the age, particularly in France, seemed to take wholly for granted. Only the use of the faculty of reason aided by the growth of knowledge founded on sense perception - not mystical inner light or uncritical acceptance of tradition, dogmatic rules, or the voice of supernatural authority, whether vouchsafed by direct revelation or recorded in sacred texts - only that would provide final answers to the great problems which had occupied men since the beginning of history. Most [Enlightenment philosophers] believed in the maximum degree of individual freedom and the minimum of government - at least after men had been suitably re-educated. They thought that education and legislation founded upon the ‘precepts of nature’ could right almost every wrong; that nature was but reason in action, and its workings therefore were in principle deducible from a set of ultimate truths like the theorems of geometry, and latterly of physics, chemistry and biology. A life founded upon these answers would be free, secure, happy, virtuous and wise. What a horrible concept, that education and legislation could right wrongs! Back to the questions of whose education? Whose curriculum? Whose legislation? Whose enforcement? Whose authority? Enlightenment utopianism led directly to the liberty-killing ‘re-education’ camps of the Communists and the National Education Association. The rational, liberal world peace sought after is only the peace of the desert, the peace of servitude. We are offered latter-day versions of bread and circuses by the ‘rational’ elite, the technocrats and corporate overlords; techno-gadgets and mind-numbing infotainment to keep us fat and happy in the New World Order. We started out seeking manna from heaven and ended up being bought off with Cheez-Whiz and Pringles. All this Maistre set himself to destroy. In place of the a priori formulas of this idealized conception of basic human nature, he appealed to the empirical facts of history, zoology and common observation. In place of the ideals of progress, liberty and human perfectibility, he preached salvation by faith and tradition. He dwelt on the incurably bad and corrupt nature of man, and consequently the unavoidable need for authority, hierarchy, obedience and subjection. In place of science he preached the primacy of instinct, Christian wisdom, prejudice (which is but the fruit of the experience of generations), blind faith; in place of optimism, pessimism; in place of eternal harmony and eternal peace, the necessity - the divine necessity - of conflict and suffering, sin and retribution, bloodshed and war. In place of the ideals of peace and social equality, founded on the common interests and the natural goodness of man, he asserted the inherent inequality and violent conflict of aims and interests as being the normal condition of fallen man and the nations to which he belonged. Maistre denied any meaning to such abstractions as nature and natural right... He defended the importance of mystery and darkness - above all of unreason - as the basis of social and political life. With remarkable brilliance and effectiveness, he denounced all forms of clarity and rational organization. Maistre dwelt on the dangers of abstractions, and on Original Sin. Maistre was at one with... all those who continue to regard the Enlightenment as a personal enemy; and with those who defend transcendent principles whose very meaning would in their view be obscured and misrepresented by any assumption that they could occur on the same level as the sciences and common sense, and so be open to, or need, defense against intellectual or moral criticism. This sounds like many of the discussions of how to recover a semblance of civilization. He is particularly opposed to systems which appear to be based on any method claiming some connection with the natural sciences. The very language of science to Maistre is something degraded; and he notes, prophetically enough, that the degradation of language is always the surest sign of the degradation of a people. Only in darkness are great, concealed treasures to be found. Hence the clarifications demanded by the Encyclopedists is for him tantamount to causing all that may be profound and fertile in words to evaporate; it annihilates their virtue and dehydrates them of significance. Maistre uses very similar arguments to demolish the, to him, equally absurd theory of the social contract as the basis of society. Contracts, he correctly maintains, presuppose promises, and the means of enforcing them; but a promise is an act which is only intelligible, can only be conceived, within an elaborate network of already existing conscious social conventions. To isolated savages in a ‘state of nature’ social conventions, including promises, contracts, enforceable laws and so forth, can mean nothing at all. Hence to suppose that societies are created by contracts, and not the other way round, is not only a historical but a logical absurdity. Every discipline for him has its own logic, and he says again and again that to apply to theology canons valid in natural science, or to history concepts that apply in formal logic, must lead to absurdities. To each province its own mode of belief, its own methods of proof. A universal logic, like a universal language, empties the symbols used of all that accumulated wealth of meaning created by the continuous process of slow precipitation by which the mere passage of time enriches an old language, endowing it with all the fine, mysterious properties of an ancient, enduring institution. To analyze the precise associations and connotations of the words we use is not possible, to throw them away is suicidal lunacy. Religion is superior to reason not because it returns more convincing answers than reason, but because it returns no answer at all. It does not persuade or argue, it commands. Faith is truly faith only when it is blind; once it looks for justification it is done for. Maistre’s notion of divine reason is of an activity that is transcendent, and therefore hidden from the human eye. It cannot be deduced from any knowledge obtainable by simple human means; glimpses of it may be vouchsafed to those who have steeped themselves in God’s revealed world, and so may learn from nature and history as determined by divine providence, even though they may not understand its ways or purposes. Above all they do not look for general theories which will explain everything. For nothing is more fatal to true wisdom than scientifically established general principles. Maistre... declared that the method of the natural sciences is fatal to true understanding. To classify, abstract, generalize, reduce to uniformities, deduce, calculate and summarize in rigid, timeless formulas is to mistake appearances for reality, describe the surface and leave the depths untouched, break up the living whole by artificial analysis, and misunderstand the processes both of history and of the human soul by applying to them categories which at best can be useful only in dealing with chemistry or mathematics. Maistre sought the answer in revealed religion, and in history, as the embodiment of the inner pattern which at best we see darkly and intermittently, by placing ourselves in the great framework of the tradition of our society, of its modes of feeling and action and thought - in which alone is truth. We have skirted all around this issue of science vs. tradition vs. revelation. All paths seem to wander through bramble patchs which misdirect our way. Again, grace is needed to find our way out, we cannot do it on our own, although we must try to. ‘Republican institutions’ - the product of the rickety structures of human deliberation - ‘have no roots; they are just placed on the ground, whereas what came before [monarchy and church] was planted.’ Sovereignty must be indivisible, for if it is distributed there is no center of authority, and all things fall to pieces. Earthly sovereigns and legislators can act only in the name of God, and all they can do is to reassemble or reorganize already existing rights, duties, liberties, privileges, which have existed since the day of the creation. Oops... There goes the Tenth Amendment hopes, it doesn’t work in a post-embodied reason, post-Christian era. It most likely doesn’t work anywhere, anytime, because Executive Power is always and everywhere supreme, there is no “balance of powers,” and never can be. As Machiavelli held, the supremacy of Executive Power must be hidden from the ruled to be most effective. This is what academic political science primarily has attempted to do during the last half of this century. A scientific theocracy, such as America has become, is thoroughly Epicurean-Machiavellian-Hobbesian. Everything grows, nothing good or permanent has been accomplished overnight. All improvisation carries the seeds of its own swift decay, and it is always the attempt to transform things by the wave of the magic wand - to change them abruptly and violently - that is the central crime of revolutions. Burke is not theocratic, not absolutist, not addicted to extremes like the ultramontane Maistre, yet Burke’s denunciation of abstract ideas, of timeless and universal political truths detached from historical development, detached from the processes of organic growth which make men and societies, his total opposition to the liberation, advocated by such as Rousseau, of human beings from the artificial and removable shell of tradition, social texture, the inner life of communities and states, the impalpable strands which hold societies together and give them their character and strength - all this Maistre shared with him, and perhaps to some extent derived from him. He quotes him with relish, but the influence of Jesuit ideas remained far more powerful. …Rationalistic or empirical explanation is in effect a cloak for sin; for at the heart of the universe there is a mystery, impenetrably dark. The authority of all the great living forces of social life, of the strong and rich and great over the weak and poor and small, the right to exact obedience which belongs to conquerors and priests, to the heads of family and church and state alike, flows from this occult source, whose very power consists in its opaqueness to the exploration of reason. Rational explanation as a ‘cloak for sin’ sounds like an echo of the discussions of who settles what reason is? The biggest, fastest gun? Utopias have their value - nothing so wonderfully expands the imaginative horizons of human potentialities - but as guides to conduct they can prove literally fatal. Since I know the only true path to the ultimate solution of the problems of society, I know which way to drive the human caravan; and since you are ignorant of what I know, you cannot be allowed to have liberty of choice even within the narrowest limits, if the goal is to be reached. What choice have we, who have the knowledge, but to be willing to sacrifice them all? If your desire to save mankind is serious, you must harden your heart, and not reckon the cost. The answer to this was given more than a century ago by the Russian radical Alexander Herzen. In his essay From the Other Shore... he said that a new form of human sacrifice had arisen in his time - of living human beings on the altars of abstractions - nation, church, party, class, progress, the forces of history - these have all been invoked in his day and in ours: if these demand the slaughter of living human beings, they must be satisfied. These are his words: “If progress is the goal, for whom are we working? Who is this Moloch who, as the toilers approach him, instead of rewarding them, draws back; and as a consolation to the exhausted and doomed multitudes... can only give the… mocking answer that after their death all will be beautiful on earth. Do you truly wish to condemn the human beings alive today to the sad role… of wretched galley slaves who, up to their knees in mud, drag a barge… with… ‘progress in the future’ upon its flag? …If, in short, we declare our state to be short of perfect, this is intelligible only by comparison with a more perfect world; it is by measuring the gap between the two that we can measure the extent by which our world falls short. Short of what? The idea of that of which it falls short is the idea of a perfect state. At this point it may be asked where, if all this is the case, the solutions are to be sought: who are the authorities who can show the rest of us the right path for theory and practice? Some have told us that the true answers are to be found in sacred texts, or given by inspired prophets, or by priests who are the authorized interpreters of these texts. Others deny the validity of revelation or prescription or tradition, and say that only accurate knowledge of nature yields the true answers - to be obtained by controlled observation, experiment, the application of logical and mathematical techniques. Again, some tell us that only the experts know: men gifted with mystical vision, or metaphysical insight and speculative power, or scientific skills; or men endowed with natural wisdom - sages, men of lofty intellect. But others deny this and declare that the most important truths are accessible to all men: every man who looks within his own heart, his own soul, will understand himself and the nature which surrounds him, will know how to live and what to do, provided he has not been blinded by the baleful influence of others - men whose natures have been perverted by bad institutions. Whoever questions an institution or a way of life demands an answer. The answer, supported by rational argument, will itself be liable to further questions of the same type. And every answer will tend to be perpetually open to doubt and to disbelief. Once such skepticism is permitted the human spirit becomes restless, since it sees no final solution to its questioning. Once the foundations are called into question, nothing permanent can be established. Doubt and change, disintegrating corrosion from within and without, render life too precarious. Individuals are tormented by doubts which cannot be settled, institutions are subverted and are replaced by other forms of life, equally doomed to destruction. There is no resting-place anywhere, no order, no possibility of a tranquil, harmonious and satisfying life. Whatever is solid must be protected from such assaults. Hobbes certainly understood the nature of sovereignty, making the rule of the Leviathan free from all obligations, absolute, and unquestionable. But Hobbes’s state, like those of Grotius or Luther, is a man-made construction, unprotected from the perennial questions which atheists and utilitarians have put in every generation: Why live thus and not otherwise? Why should one obey this authority rather than some other, or none? Once the intellect is permitted to raise these disturbing issues there is no holding it; once the first move has been made there is no help, the rot has set in for good. Wars will not cease, however hateful, because wars are not a human invention: they are divinely instituted. Education may alter the level of knowledge and of the overt opinions of men, but there is a deeper level at which it is impotent. Rational criticism will erode whatever is susceptible to it: only what is insulated against it, by being inherently mysterious and inexplicable, can survive. The rational man seeks to maximize his pleasures, minimize his pain. But society is not an instrument for this at all. It rests on something much more elemental, on perpetual self-sacrifice, on the human tendency to immolate oneself to the family or the city, or the church or the state, with no thought of pleasure or of profit, on the craving to offer oneself upon the altar of social solidarity, to suffer and die in order to preserve the continuity of hallowed forms of life. Human action in his sense is justified only when it derives from that tendency in human beings which is directed neither to happiness nor to comfort, nor to neat, logically coherent patterns of life, nor to self-assertion and self-aggrandizement, but to the fulfillment of an unfathomable divine purpose which men cannot, and should not try to, fathom - and which they deny at their peril. This is the poetry of the world, not its prose, the source of all faith and all energy, whereby alone man is free, capable of choice, of creation and destruction, superior to the causally determined, scientifically explicable, mechanical movements of matter, or of natures lower than his, ignorant of good and evil. Insulation from hostile criticism is what I want Cyber-Chartres to provide - mystery and inexplicability. ...Condorcet’s disciple, Saint-Simon, at the beginning of the [nineteenth] century, correctly foretold the revolutionary role to be played by the union of applied science, finance and industrial organization, and, still more accurately, the replacement of religious by secular propaganda, into the service of which artists and poets would be drafted as they had once worked for the glory of the church. His secretary and collaborator Auguste Comte saw that to achieve this a species of secular religion, organized by an authoritarian church dedicated to rational, but not liberal or democratic, ideals would be needed. Events have proved him right. The transformation in our own century of political and social movements into monolithic bodies, imposing a total discipline upon their followers, exercised by a secular priesthood claiming absolute authority, both spiritual and lay, in the name of unique scientific knowledge of the nature of men and things, has in fact occurred, and on a vaster scale than even that most fanatical systematizer seems to have imagined. Scientific nihilism is, in fact, as I’ve said in many different ways, a religion. Scientists belong to their own moral consensual polity and speak a common moral language. They do, in fact, aim at objective truths, but the truths they aim at are only what can be measured and formulated into a consensual semantic construct known as facts, observations or evidence. The truths that meet this criteria can never amount to more than a small fractional subset of all truths. Scientific knowledge can never amount to more than a radically understated portion of reality, minutely localized on both a spatial and temporal scale. We use probability statements and vast metaphysical assumptions to paper this over and give ourselves more confidence than we deserve to have. Even on a human scale, our social sciences cannot deal adequately with human intentionality, with the choosing of human ideals and the irrationality of human faith, nor can they doubt doubt itself, or explain explanation itself, or theorize theory itself. Thus, the social sciences are fundamentally revealed to be simply political programs in disguise. The application of technological techniques in organizing the lives and productive activities of human beings is the policy of governments, of industrial enterprises, indeed of all large-scale economic (and cultural) activities in capitalist and communist states alike. Scientific knowledge and scientific organization, which alone have succeeded in revealing the secrets of nature, animate and inanimate, can surely be made to rationalize social life and so bring about the maximum satisfaction of discoverable human needs, provided that the system is organized by disinterested experts. Physicists and biologists, geographers and urban and rural planners, psychologists and anthropologists, mathematicians and engineers (including Stalin’s ‘engineers of human souls’), specialists of every kind, can be, and to a large degree have been harnessed into the service of those who, sometimes with pure motives and a fanatical devotion to what they see as the cause of reason and human happiness, are determined to make the best use possible of available resources, natural and artificial, human and non-human. It is against this that a world-wide protest has begun. A false sense of one’s own wisdom and power, blind refusal to recognize the superiority either of other men or of institutions, leads to the ridiculous mosaic of declarations of the rights of men and claptrap about liberty. …Maistre merely adds that the inevitable consequence of faith in the principles of Rousseau is a situation in which the people is told by its masters ‘“You believe that you don’t want this law, but we assure you that you do. If you dare reject it, we shall shoot you down in order to punish you for not wanting what you do want” and they then do so.’ No clearer formula for what has rightly been called ‘totalitarian democracy’ has surely ever been uttered. Maistre says sardonically that if a good many scientists perished on the guillotine, they had only themselves to blame. The ideas in whose name they were killed were their own; and, like all mutiny against authority, bound to destroy their authors. We can intentionally aim at truth - no matter the suffering this entails, or we can aim away from truth - into a pleasurable ideological backwater; at the stars or at the mud; at extropy or at entropy. The turn itself constitutes good or evil. Once we have turned towards the stars, when we have a worldview imbued with correct values, we must be prepared to carry the fight to preserve it and spread it. Maistre lived his life according to this principle: “When one is engaged in a desperate defense of one’s world and its values, nothing can be given away, any breach in the walls might be fatal, every point must be defended to the death.” To relax is to fall. No metaphysical, magic eye will detect abstract entities called rights that are not derived from some specific human or divine authority. Just as there is no lady called Nature, so there is no creature called Man. And yet revolutions are made, nameless atrocities are committed in the name of this chimera. Rationalism leads to atheism, individualism, anarchy. The social fabric holds together only because men recognize their natural superiors, they obey because they feel a sense of natural authority which no rationalist philosophy can reason away. There can be no society without a state; no state without sovereignty, the ultimate court of appeal; no sovereignty without infallibility; no infallibility without God. The Pope is God’s representative on Earth, all legitimate authority is derived from him. His concept of divine authority is not only deeply anti-democratic but wholly opposed to individual liberty, social and economic equality and the political implications of human fraternity. Every government founded upon settled law is founded on a usurpation of the prerogative of the divine lawgiver. Hence all constitutions are bad as such. …Maistre, at any rate in the works of his maturity, is consumed by the sense of original sin, the wickedness and worthlessness of the self-destructive stupidity of men left to themselves. Again and again he dwells on the fact that suffering alone can keep human beings free from all falling into the bottomless abyss of anarchy and the destruction of all values. On one side ignorance, willfulness, idiocy; on the other, as the remedy, blood, pain, punishment - these are the concepts which haunt Maistre’s dark world. Nothing that is worth while can be performed by men who are incurably corrupt and feeble, unless they are protected from the temptations to dissipate their strength and wealth upon futile ends, unless they are disciplined into doing their appointed task by the perpetual vigilance of their guardians. These in turn must sacrifice their lives to the maintenance of the fixed and rigid hierarchy which is the true order of nature, with the Vicar of Christ at their head, stretching in symmetrical rows from the highest to the humblest members of the great pyramid of mankind. ...the central figure in it all, the keystone of the arch on which the whole of society depends, is a far more frightening figure than king or priest or general: it is the Executioner. The executioner is the basis of all purely human authority, whether he is works for a “legitimate” state, an “illegitimate” state, or organized crime. This passage is a true picture of the world, based on the historical evidence right down to our day. Western Culture is a shambles. But, and this is an intractable problem, we cannot trust the religious hierarchy, from the Pope on down, to be uncorrupted by power and money either. Christianity would never have self-destructed, had the guardians of the faith not been corrupted themselves. We are back to the problem the Founding Fathers confronted, you cannot trust individuals with very much power, yet government, every bit as much as organized religion, demands single-minded executive authority at the pinnacle of a legitimate social hierarchy, or else society self-destructs at its own hands, or at the hands of another. Executive Power, one way or another, will have its way, and will act towards its own ends. Abraham Lincoln followed this advice to the letter in conducting the Civil War. Authority was established in the Re-United States of America through bloody, wanton slaughter. No other source exists when forging together different moral consensual polities, different civilizations aiming at conflicting ideals. It is always time to learn from history, but if science, the only authority in the land, says there is no purpose and no meaning, why bother to learn anything? Back in 1932, historian Edith Hamilton wrote: “History repeats itself. The fact is a testimony to human stupidity.” Does science produce knowledge, or stupidity? This is, of course, claptrap. You cannot “get religions back” but religions can undergo growth from within the religion. This is what Doctors of the Church and the Saints have traditionally done. When such a person appears is a matter of providence. Revealed truth does not belong to any one era, nor is it necessarily absent in an era of the competing religion of technicism. Even scripture is mined continuously for new translations from the original, for new meanings from wonderful, deliberately ambiguous passages. Berlin notes that Maistre proposed a way to get back religion and defend it. It is to wipe out all the enemies of religion, a very cold and ruthless proposal, impeccably logical. A very chilling passage, a very bad road to travel down. I am reminded of the words of John Donne: “Hands, not tongues, end heresies.” The logic is iron-clad, yet is not the price of religious purity too high? As opposed to what? Scientific barbarism? Does not science, as a competing religion, aim to utterly eliminate all other ‘irrational’ religions? Unabomber anarchism? Does not the ‘green’ environmental movement aim to eliminate all competing religious ideals, like technological progress, individualism, and ‘be fruitful and multiply’? One World Tyranny under the corporate overlords and technocrats? Does not the One Worlder desire to eliminate all nation-states, all limited sovereignties capable of joining to act as a brake on global tyranny? A formless, indefinite civil war between wannabe Caesars wishing to divvy up the world as their own private property? How can religion guide science when science supplants it as a religion in its own right? Yet what guidance does science provide humanity? Does it say anything about purpose or meaning whatsoever? Maistre was a dangerous extremist and we still have dangerous extremists on all sides of us today. In the whole vast dome of living nature there reigns an open violence, a kind a prescriptive fury which arms all the creatures to their common doom: as soon as you leave the inanimate kingdom you find the decree of violent death inscribed on the very frontiers of life. Over all these numerous races of animals man is placed, and his destructive hand spares nothing that lives. He kills to obtain food and he kills to clothe himself; he kills to adorn himself; he kills in order to attack and he kills to defend himself; he kills to instruct himself and he kills to amuse himself; he kills to kill. Proud and terrible king, he wants everything and nothing resists him… his table is covered with corpses… And who [in the general carnage] will exterminate him who exterminates all the others? Himself. It is man who is charged with the slaughter of man… So is accomplished… the great law of the violent destruction of living creatures. The whole earth, perpetually steeped in blood, is nothing but a vast altar upon which all that is living must be sacrificed without end, without measure, without pause, until the consummation of things, until evil is extinct, until the death of death. Wow! This commentary would drive the eco-fascists of today, the neo-pagan dirt-worshippers and animal rights berserkers over the edge, they’d all have to up their organically-grown Prozac dosage after reading that. No wonder Maistre can’t be found in ‘green’ academia. What matters is not reason but power. Wherever there is a vacuum, power must sooner or later enter and create a new order out of revolutionary chaos. The Jacobins and Napoleon may be criminals, tyrants, but they wield power, they represent authority, they exact obedience, above all they punish and thereby restrain the centrifugal tendencies of weak and fallible men. Consequently they are a thousand times preferable to the critical intellectuals, the destructive peddlers of ideas who pulverize the social structure and destroy every vital process until some force, however illegal, rises up in response to the claims of history to sweep them out of its way. All power is from God. Yet there are moments when chaos threatens: the worst government is preferable to anarchy; indeed only the most ruthless despotism can check the disintegration of society. Men - moral beings - must submit freely to authority: but they must submit. For they are too corrupt, too feeble to govern themselves; and without government they collapse into anarchy and are lost. No man, and no society, can govern itself; such an expression is meaningless: all government comes from some unquestioned coercive authority. Lawlessness can only be stopped by something from which there is no appeal. Men are too wicked to be let out of the chains immediately they are born: born in sin, they are made tolerable only by society, only by the state, which repress the aberrations of untrammeled individual judgment. Such a state cannot be created by, or on the basis of, a written constitution: a constitution may be obeyed, but it cannot be worshipped. And without worship… nothing can stand. What this religion demands is not conditional obedience - the commercial contract of Locke and the Protestants - but the dissolution of the individual in the state. Men must give - not merely lend - themselves. Society is not a bank, a limited-liability company formed by individuals who look on one another with suspicious eyes - fearful of being taken in, duped, exploited. All individual resistance in the name of imaginary rights or needs will atomize the social and the metaphysical tissue, which alone has the power of life. The doctrine of violence at the heart of things, the belief in the power of dark forces, the glorification of chains as alone capable of curbing man’s self-destructive instincts, and using them for his salvation, the appeal to blind faith against reason, the belief that only what is mysterious can survive, that to explain is always to explain away, the doctrine of blood and self-immolation, of the national soul and the streams flowing into one vast sea, of the absurdity of liberal individualism, and above all of the subversive influence of uncontrolled critical intellectuals - surely we have heard this note since. In practice if not in theory (at times offered in a transparently false scientific guise), Maistre’s deeply pessimistic vision is the heart of the totalitarianisms, of both left and right, of our terrible century. A stern warning about the primacy of obedience over equality, and yet, if equality has primacy over obedience, stagnant death and destruction results sooner or later. Our times have seen the conflict of two irreconcilable views: one is the view of those who believe that there exist eternal values, binding on all men, and that the reason why men have not, as yet, all recognized or realized them is a lack of the capacity, moral, intellectual or material, needed to compass this end. Thus contend the Marxists, and perhaps other socialist and optimistic prophets. This is not accepted by those who declare that men’s temperaments, gifts, outlooks, wishes permanently differ one from another, that uniformity kills; that men can live full lives only in societies with an open texture, in which variety is not merely tolerated but is approved and encouraged; that the richest development of human potentialities can occur only in societies in which there is a wide spectrum of opinions... in which there is liberty of thought and of expression, views and opinions clash with each other, societies in which friction and even conflict are permitted, albeit with rules to control them and prevent destruction and violence; that subjection to a single ideology, no matter how reasonable and imaginative, robs men of freedom and vitality. …For them the craving for unity - the regeneration of mankind by recovery of a lost innocence and harmony, the return from a fragmented existence to the all-embracing whole - is an infantile and dangerous delusion: to crush all diversity and even conflict in the interest of uniformity is, for them, to crush life itself. These doctrines are not compatible with one another. They are ancient antagonists; in their modern guise both dominate mankind today, and both are resisted: industrial organization versus human rights, bureaucratic rules versus ‘doing one’s own thing’; good government versus self-government; security versus freedom. A man’s powers of creation can only be exercised fully on his own native heath, living among men who are akin to him, physically and spiritually, those who speak his language, amongst whom he feels at home, with whom he feels that he belongs. Only so can true cultures be generated, each unique, each making its own peculiar contribution to human civilization, each pursuing its own values in its own way, not to be submerged in some general cosmopolitan ocean which robs all native cultures of their particular substance and color, of their national spirit and genius, which can only flourish on its own soil, from its own roots, stretching far back into a common past. This is the beginning of nationalism, and even more of populism. If free creation, spontaneous development along one’s own native lines, not inhibited or suppressed by the dogmatic pronouncements of an élite of self-appointed arbiters, insensitive to history, is to be accorded supreme value; if authenticity and variety are not to be sacrificed to authority, organization, centralization, which inexorably tend to uniformity and the destruction of what men hold dearest - their language, their institutions, their habits, their form of life, all that has made them what they are - then the establishment of one world, organized on universally accepted rational principles - the ideal society - is not acceptable. [Johann Gottfried Herder championed] the will to live one’s own regional, local life, to develop one’s own... values, to sing one’s own songs, to be governed by one’s own laws in one’s own home, not to be assimilated to a form of life that belongs to all and therefore to no one. Freedom, Hegel once observed, is... to be at home, not to be impinged upon by what is not one’s own, by alien obstacles to self-realization whether on the part of individuals or civilizations. The idea of the earthly paradise, of a golden age for the whole of mankind, of one life which all men live in peace and brotherhood, the Utopian vision of thinkers from Plato to H.G. Wells, is not compatible with this. This denial of monism was to lead, in due course, on the one hand to the conservatism of Burke...; on the other, to romantic self-assertion, nationalism, the worship of heroes and leaders, and in the end to Fascism and brutal irrationalism and the oppression of minorities. Right down to our day, with the politically correct oppression of Burkean-style conservatives. The danger of the fall into fascism is ever-present within the tradition of limited sovereignties (obedience and inequality), just as the danger of the fall into totalitarian socialism is ever-present within the tradition of universalism (equality and disobedience). I suspect libertarianism of primarily falling into the tradition of universalism, rather than polycentrism, although there may be exceptions amongst certain schools of libertarianism. [The revolt of young dissidents of our day] springs from the feeling that human rights, rooted in the sense of human beings as specifically human, that is, as individuated, as possessing wills, sentiments, beliefs, ideals, ways of living of their own, have been lost sight of in the ‘global’ calculations and vast extrapolations which guide the plans of policy-planners and executives in the gigantic operations in which governments, corporations and interlocking élites of various kinds are engaged. [They] wish to be and do something, and not merely to be acted upon, or for, or on behalf of. They demand recognition of their dignity as human beings. They do not wish to be reduced to human material, to being counters in a game played by others, even when it is played, at least in part, for the benefit of these counters themselves. A revolt breaks out at all levels. The cry for individual and national independence - the demand not to be interfered with or dictated to or organized by others - springs from the same sense of outraged human dignity. The self that seeks liberty of action, determination of its own life, can be large or small, regional or linguistic; today it is liable to be collective and national or ethnic-religious rather than individual; it is always resistant to dilution, assimilation, depersonalization. The conviction that once the last obstacles - ignorance and irrationality, alienation and exploitation, and their individual and social roots - have been eliminated, true human history, that is, universal harmonious cooperation, will at last begin is a secular form of what is evidently a permanent need of mankind. But if it is the case that not all ultimate human ends are necessarily compatible, there may be no escape from choices governed by no overriding principle, some among them painful, both to the agent and to others. From this it would follow that the creation of a social structure that would, at the least, avoid morally intolerable alternatives, and at the most promote active solidarity in the pursuit of common objectives, may be the best that human beings can be expected to achieve, if too many varieties of positive action are not to be repressed, too many equally valid human goals are not to be frustrated. But a course demanding so much skill and practical intelligence - the hope of what would be no more than a better world, dependent on the maintenance of what is bound to be an unstable equilibrium in need of constant attention and repair - is evidently not inspiring enough for most men, who crave a bold, universal, once-and-for-all panacea. It may be that men cannot face too much reality, or an open future, without a guarantee of a happy ending - providence, the self-realizing spirit, the hidden hand, the cunning of reason or of history, or of a productive and creative social class. As to my own solutions, I am focusing most closely on the “unstable equilibrium in need of constant attention and repair.” This is exactly what I mean by the liquid realm, within transhumanist philosophy, the honing in on a moving point of dynamic equilibrium, life at the edge of chaos. I have no panacea, no universal utopia, only localized efforts at fostering and preserving high cultures serving as beacons to attract individuals to turn upward and away from the ominous crimson glow down below. Berlin speaks directly to the difficulty of staying within the liquid realm, of sustaining a transhumanist philosophy dedicated to speciation and ascension. We must choose, and in choosing one thing lose another, irretrievably perhaps. If we choose individual liberty, this may entail a sacrifice of some form of organization which might have led to greater efficiency. If we choose justice, we may be forced to sacrifice efficiency. If we choose justice, we may be forced to sacrifice mercy. If we choose knowledge we may sacrifice innocence and happiness. If we choose democracy, we may sacrifice a strength that comes from militarization or from obedient hierarchies. If we choose equality, we may sacrifice some degree of individual freedom. If we choose to fight for our lives, we may sacrifice many civilized values, much that we have labored greatly to create. Nevertheless, the glory and dignity of man consist in the fact that it is he who chooses, and is not chosen for, that he can be his own master (even if at times this fills him with fear and a sense of solitude), that he is not compelled to purchase security and tranquility at the price of letting himself be fitted into a neat pigeon-hole in a totalitarian structure which contrives to rob him of responsibility, freedom and respect both for himself and others, at one single stroke. This choice stuff is implacable. The crushing prison walls of our free will, our wretchedness in the face of necessity, of Fate, is excruciating. We cannot obey our equals, we cannot preserve what must be destroyed, we cannot avoid leaders who will not leave us alone to our inherited customs no matter what choices we make. Our free will is painful in the extreme, we choose and choose yet we cannot escape necessity, we cannot run from it, we cannot hide. We want to give up, we want someone to choose for us, and when we realize that those who choose for us are also subject to the same fate, the same crushing wretchedness, we look to our immolation. The urge to immolation is equally strong as the urge to life, the culture of life is indefinitely at war with the culture of death. The development of technology to enhance and preserve life and liberty is always, by necessity, balanced with the development of technology to diminish, control and extinguish life and liberty; great power in one arises simultaneously with great power in the other. No wonder most individuals find it easier to aim at a simple, static, monistic utopia or to retreat to an animal existence of hedonistic materialism, or finally to entropic death-worship, the immolation urge. Ascending life in the liquid realm is strenuous and refined; without aiming towards a transcendental realm, we find ourselves back staring at the mud.